Asparagus has a reputation for being a difficult crop, but it just requires a little patience. Watch this video to get the skinny on this delicious vegetable. 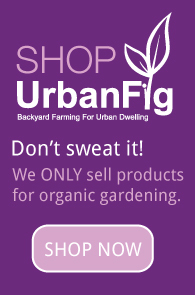 In this video, Christy Wilhelmi of Gardenerd.com shares with UrbanFig her trick to protecting young seedlings from birds and caterpillars.